Almost three months without a post: it never happened before, and we could understand if you thought our project was dead for good. We won’t lie, things are going slow, but it looks like it’s the way independent production is meant to be and we can assure you, The Wakefield Variation is in our minds, every single day! 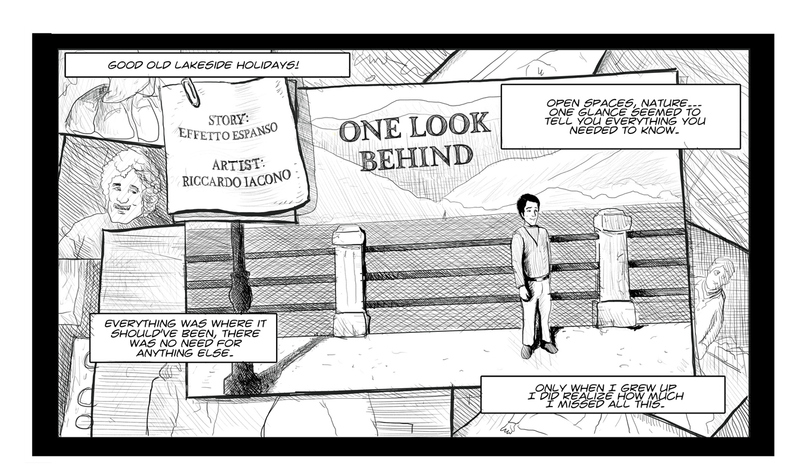 And now that One Look Behind is finally out, we hope you can say that as well (at least for the short time it will take you to read it ;)): yes, the long-awaited graphic novel prequel is available for purchase… check out our company site to learn more! Quasi tre mesi senza un post: non era mai successo prima, e potremmo capire se aveste pensato che il nostro progetto fosse defunto una volta per tutte. 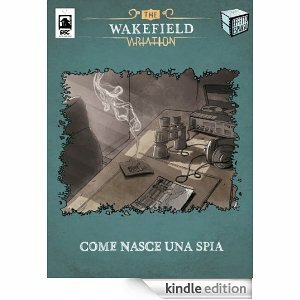 Non mentiremo, le cose procedono a rilento, ma sembra che sia il modo in cui funzionano le produzioni indipendenti e possiamo assicurarvi che The Wakefield Variation è nei nostri pensieri ogni giorno! E ora che Come Nasce Una Spia è finalmente uscito, speriamo possiate dire lo stesso (almeno per il poco tempo che vi ci vorrà per leggerlo ;)): sì, l’atteso fumetto-antefatto è disponibile per l’acquisto… date un’occhiata al sito di Effetto Espanso per i dettagli!